Regardless of the type of product you are aiming to buy, these days you can find out about the product from the many review websites that are available. And if you can browse through one that offers authentic information about the product or services that you are aiming to pay for, it becomes easier for you to decide whether or not you should spend your hard earned money for the same. However, the fact that there are innumerable websites that offer reviews related to various products and services has made it difficult for the common man to get convinced if a particular product is really good or not. Hoodwinking and manipulating investment opportunities is not a healthy way to conduct business, be it from a brick and mortar store or virtually. If you have landed on a web page that offers fake reviews, you will not be able to find information about the reviewer. Not only that, this particular reviewer will log in once in a while and use almost the same words and phrases rearranged in various sequences and represent a product. Also, his online presence cannot be traced on any social media platforms. Experts are of the opinion that the fake review websites that offer recommendations or suggestions whether to buy a particular product or not are most of times confusing or offer reviews that are extreme. It means opinions can be either entirely negative or positive and there is no midway or pros and cons are not weighed properly. Sometimes the ones that give positive reviews are the ones that are so called “loyal customers of the brand or store”. It has also been observed that the fake reviewers in an attempt to establish themselves as true guests (at hotels in case of hotel or restaurants) reviewers or buyers (of different products belonging to any category) use more of the words ‘I’, ‘My’, and ‘We’. Also, they tend to use language and words that sound unreal and untrue and to prevent themselves from being caught, they tend to finish off the lines in short. Regardless of the fake review websites you are going through; always try to look for dates on which the reviews were published. In most of the cases, fake reviews will tend to be repetitive on various dates with few words and phrases changed here and there. Also, the website will be full of advertisements. And even if visitors don’t return to the website for the second time, the owner of the website has nothing to lose because through fake reviews, he is making money through affiliate marketing. And it can be safely said that not all visitors are able to understand the difference between fake and real reviews. So, even if a few hundred visitors buy products by clicking on links, the website owner will still make some money. If you have a hunch that the reviewer is fake, try to look for reviews written by the same reviewer related to other categories. For instance, if you were just going through a review related to beauty product, find out his approach towards a product belonging to another category like travel or lifestyle. The fake reviewer will be vague in his approach in all the cases and the intelligent reader will be able to understand that he is only “beating around the bush” without having experienced the product or the place first hand. The ones that have been mentioned above are just few of the points. 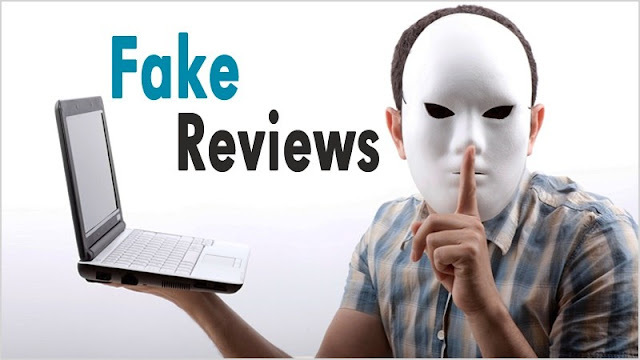 There are various others that can help you to spot fake websites offering fake reviews.